A chilling story of an urban legend dating back to the Civil War. Four friends travel a seldom used back road in the middle of a cold December night on a joyride straight to hell. Two are sisters, two are boyfriend and girlfriend, and two are best friends. Only when the claws come out do we see where the loyalties lie. 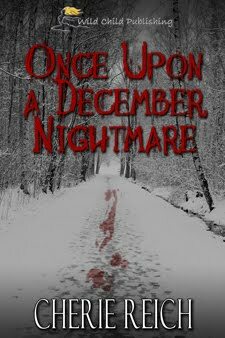 Once Upon a December Nightmare is very scary. Reich plays upon what we all fear most: the unknown. She incorporates a neat dose of Civil War history, and creates her own urban legend. The characters are excellently done with well rounded back stories and secrets that lead them to their own brutal ends. Don’t read this story in the dark! Great review. This should be on Amazon. Awesome review. Can't wait to read this.